For the second time in two days, a Patriots player was ejected from camp for fighting with the Chicago Bears in their joint practice. 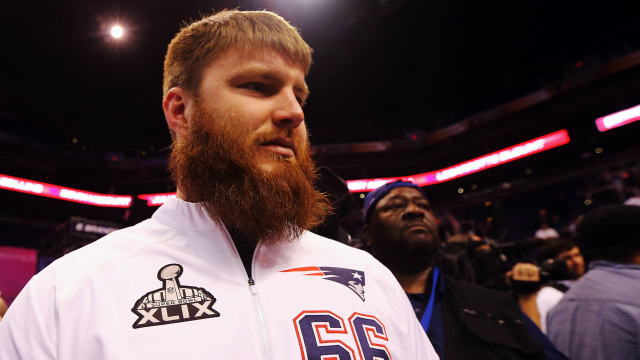 Bryan Stork, who missed most of last season due to injury, was relieved from practice yesterday, as per the Bill Belichick rule, for getting into a scuffle with several Bears players. He was reportedly throwing punches and had to be restrained by several teammates. This is Stork's second time being ejected from camp this offseason, and it doesn't bode well for him as he is in a position battle with last year's starter David Andrews. Belichick said after Malcolm Butler and Alshon Jeffrey got into their altercation that the issues between the two teams had been resolved, but obviously that's not the case. There were several other incidents that didn't result in ejections yesterday also, most notably between ex-Bear Martellus Bennett and Chicago linebacker Lamarr Houston, who were exchanging words all practice long. It's safe to say that the Patriots coaching staff won't be calling Chicago head coach John Fox next year to request more joint practices.